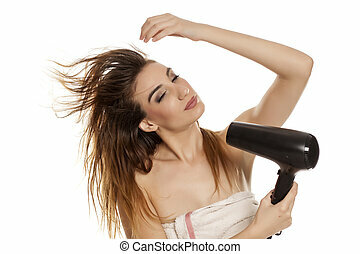 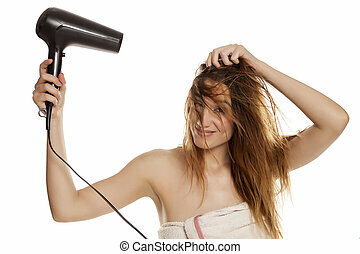 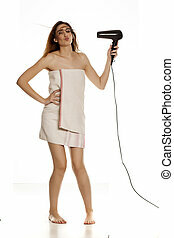 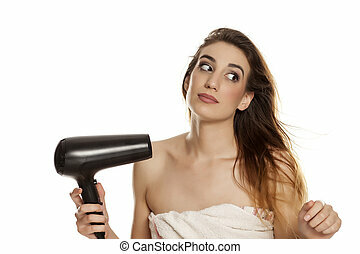 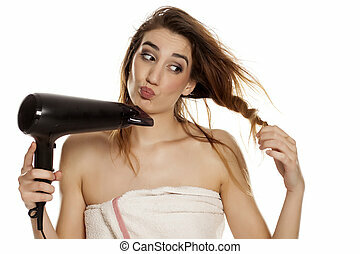 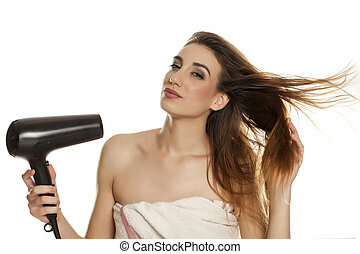 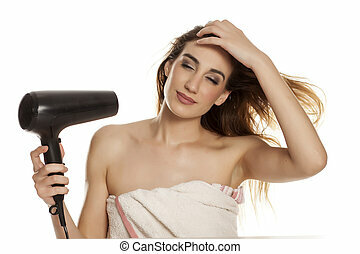 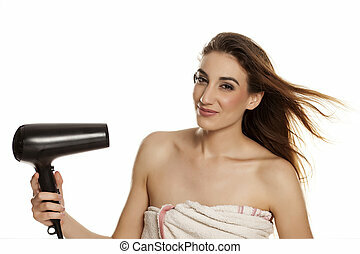 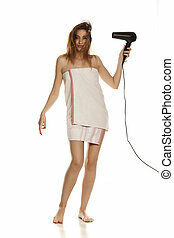 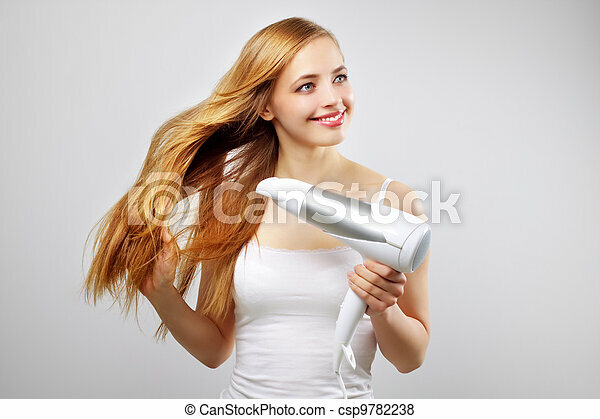 Beautiful smiling girl drying her hair with a blow dryer. 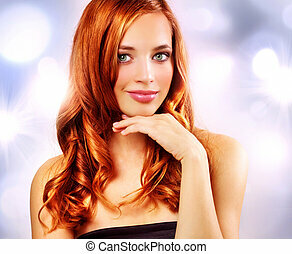 Portrait of beautiful happy smiling woman with blowing brown long silky hair. 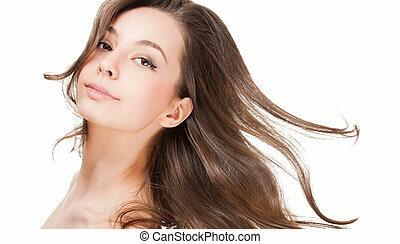 Make-up, perfect skin. 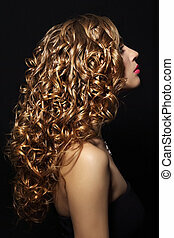 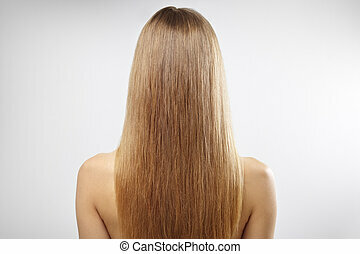 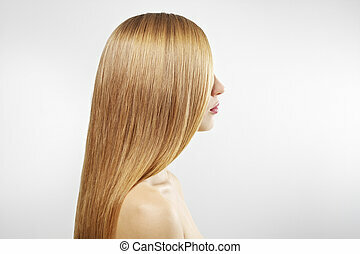 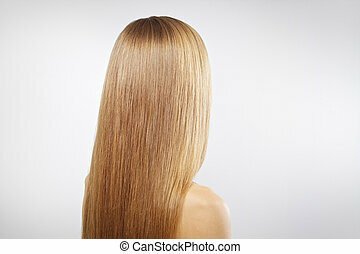 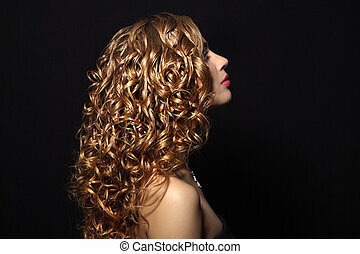 Hair health, hairstyle, hair care. 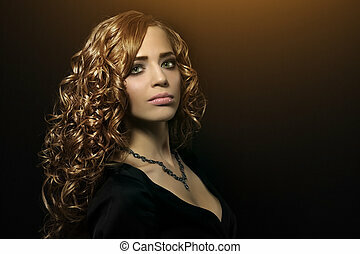 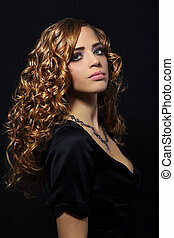 Portrait of a gorgeous young brunette woman with healthy hair.